Danforth Apartments make up Phase 2 of the landmark Fortis Quay development. 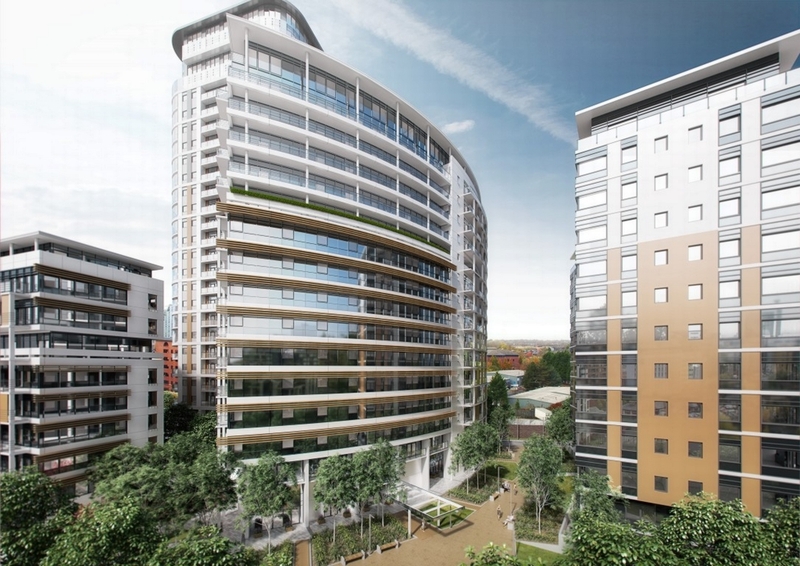 The 113 luxury apartments spread over this 15-storey tower will be very popular with the large number of young professionals who live and work in Salford Quays - a vibrant business centre and a beautiful recreation area. The premium two bedroom apartments included within Danforth Apartments are perfect for the many professionals who work in Salford Quays and MediaCityUK. This development is the second phase of the landmark Fortis Quay development which has proven to be extremely popular with investors to date. These large two bedroom apartments are an average size of 646 sqft and offer residents the highest quality modern living as well as being within easy reach of the shops, restaurants and bars of MediaCityUK. On top of that, the Metrolink tram service operates two stations close to Fortis Quay via which residents will be have easy and quick access to Manchester city centre and all of the amenities and culture on offer there. Phase 1 of Fortis Quay sold out very quickly and interest in Phase 2 is very high so please enquire today for more details.